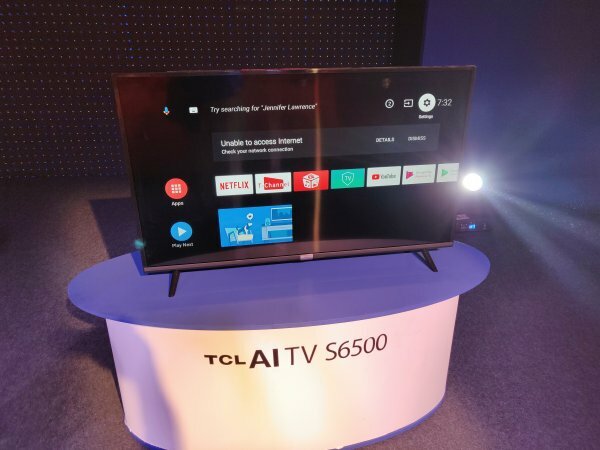 TCL of China has launched today India’s first Google-certified Android QLED TV, the 65X4 and its AI TV series TCL S6500, comprising 32/40/43/49-inch Android TVs equipped with Android 8.0 Oreo. These TVs are priced attractively and will give tough competition to leading brands such as Samsung, LG and Panasonic. TCL 65X4 comes with 4K UHD and HDR features for a truly immersive viewing experience in 3,840 x 2,160 pixels. It incorporates innovative micro dimming technology for providing fantastic colour contrast and vivid picture quality. It employs Quantum Dot QLED technology which redefines on-screen viewing by replicating real-world colour volumes, while MEMC (120 Hz) enhanced with TCL’s proprietary algorithm ensures that viewers can experience every detail of fast-moving, action-packed content on both TV and multimedia signals. The TCL 65X4 also comes with Harman Kardon speakers for powerful, high-impact sounds. This is further accentuated by Dolby’s advanced DTS post-processing technology, which delivers immersive surround sound by optimising TV audio and creating a rich acoustic field. This TV is powered by 64-bit Quad-core CPU combined with 2.5 GB RAM and 16 GB storage, allowing for seamless multitasking and reducing non-responsiveness. The TCL 65X4 has voice search feature which allows users to navigate using simple voice controls, thus eliminating the cumbersome and complicated on-screen navigation. A built-in Chromecast feature allows users to cast their favourite games, videos, and apps from their mobile phones – in full quality – directly onto the TV. You can use your favourite entertainment apps such as Jio Cinema, Netflix, YouTube, Hotstar, Voot, YuppTV, Eros Now, and many more on the 65X4 for non-stop, high-quality, and smart entertainment. The TCL S6500 also comes with an in-built Google Assistant, the AI-powered virtual super-assistant from Google, with Android 8.0 Oreo, allowing users to access entertainment, search for information, and control other connected device across their home with just their voice. This series of TVs come with features such as IPQ engine, HDR 10 support, micro dimming, Dolby Surround Sound, Google Chromecast, and white LED HD backlight. These TVs are equipped with 1.5GB RAM and 8GB storage. TCL 65X4 will be launched on October 25 on Amazon.in, followoed by sale across partner retail outlets across India. 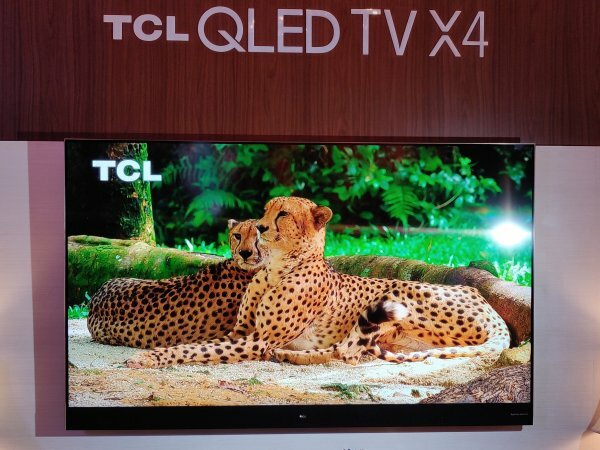 TCL AI TVs under its S6500 Series in screen sizes of 32”/40”/43”/49” are priced Rs. 16990, 24990, 27990 and 31990, respectively. This series will be available pan-India across all major online and offline channels from mid-October.